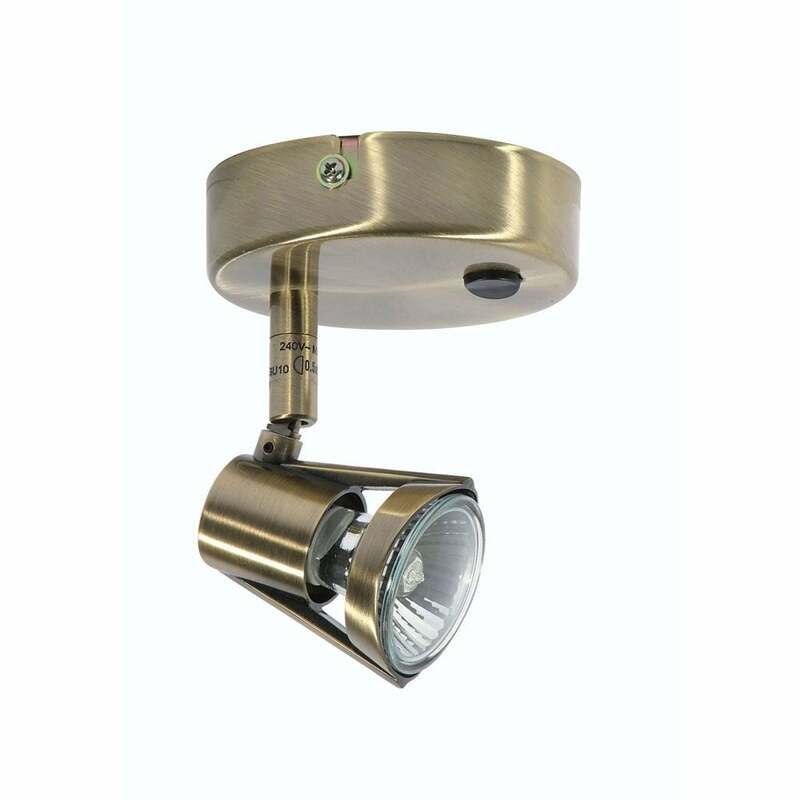 Oaks Lighting Romore single light spotlight fitting features a circular back plate in antique brass finish, holding an adjustable spotlight heads. The product code is 3101 SW AB. This simple design will sit well in both modern or traditional styled rooms providing bright illumination, the adjustable spotlight heads allows you to direct light where required. Operated by a rocker switch located on the back plate and can be ceiling or wall mounted. Available in antique chrome, a 2, 3 or 4 spot light fitting and flexible single light wall fitting is available to match which can be viewed on our website.